In the rush of life, especially when we are the Women Breadwinners, I think it is so easy to focus on all the practical, essential details of life. And in that focus, it is equally easy to forget that our lives are a spiritual journey. 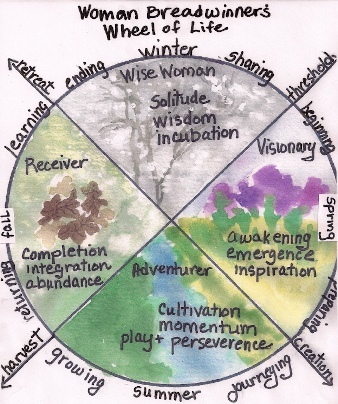 I offer this Women Breadwinner’s Wheel of Life to you as one way of remembering the spiritual nature of our lives. I LOVE this!! Thank you for posting this, Lynne!